A study of more than 1,000 motor vehicle accident survivors published in JNeurosci reveals a common variant in a gene involved in the stress response that increases vulnerability to developing chronic pain. Addressing the interaction between this genetic variant and post-traumatic stress may represent a supplemental or alternative to treatment with addictive opioids. Sarah Linnstaedt and colleagues conducted two prospective studies of European American and African American men and women admitted to the emergency room following a motor vehicle collision. In addition to genotyping these patients, the researchers assessed their distress immediately after the accident as well as their pain and post-traumatic stress symptoms six weeks later. 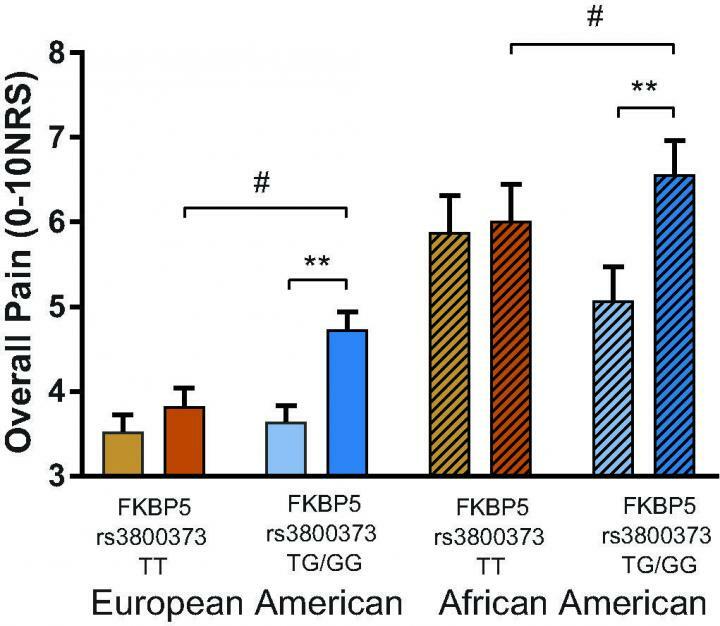 Participants of both ethnicities with a particular variant in the gene FKBP5 reported more severe pain at follow up, which was related to their level of distress. Further analyses uncovered a molecular mechanism by which this variant increases FKBP5 expression and mediates its relationship with post-traumatic chronic pain.